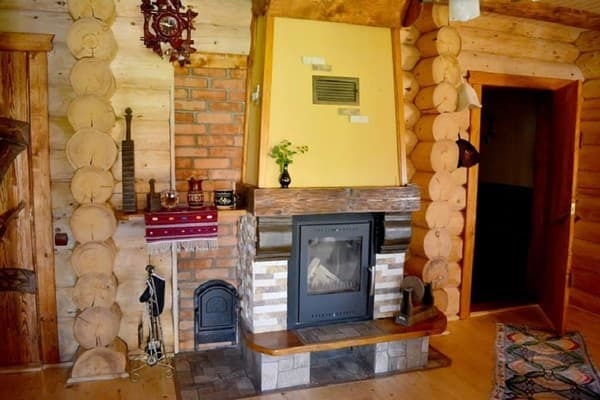 Private estate "Verkhovynka" is located in Khust, in the village of Lower Selyshche. 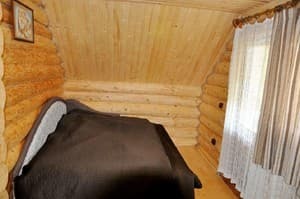 There is a wooden house for 6 people. On the first floor of the house there is an entrance hall, a living room with a fireplace, a kitchen, a bathroom and a bath. On the second floor leads a spiral staircase. 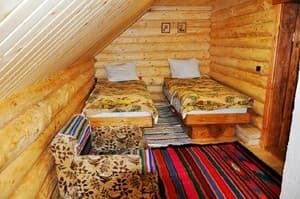 Description of the room: The room is spacious, bright with a total area of ​​15 sq.m. The room has panoramic windows and access to a shared balcony. In the room there is a TV. 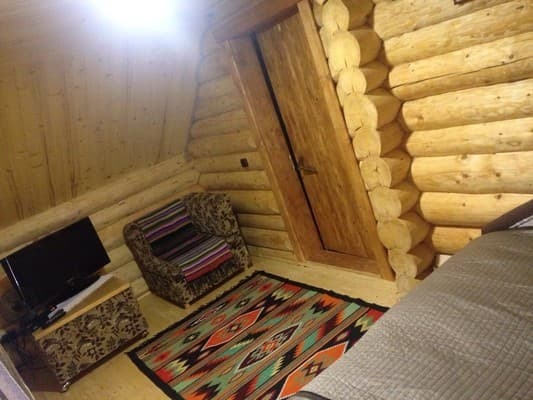 Description of the room: Area of ​​the room is 22 sq.m. This room has a mountain view. For self cooking, a small kitchen is equipped. In the kitchen there is a fridge, an electric kettle, a coffee maker and a necessary set of dishes. In 100 m from the manor there is a kolyba. In the menu of dishes of Transcarpathian cuisine. 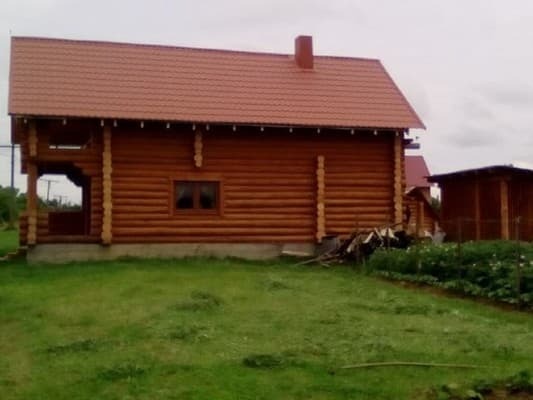 Private estate "Verkhovynka" is located in Khust, in the village of Lower Selyshche. 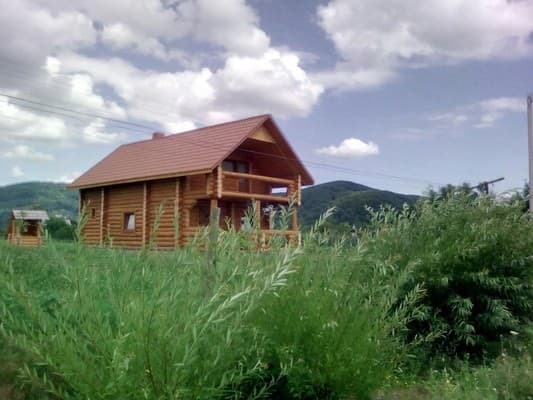 The distance from the private manor to the bus station of the town of Khust is 15 km.